A large fire in San Rafael. Photo courtesy Robert Marcucci. 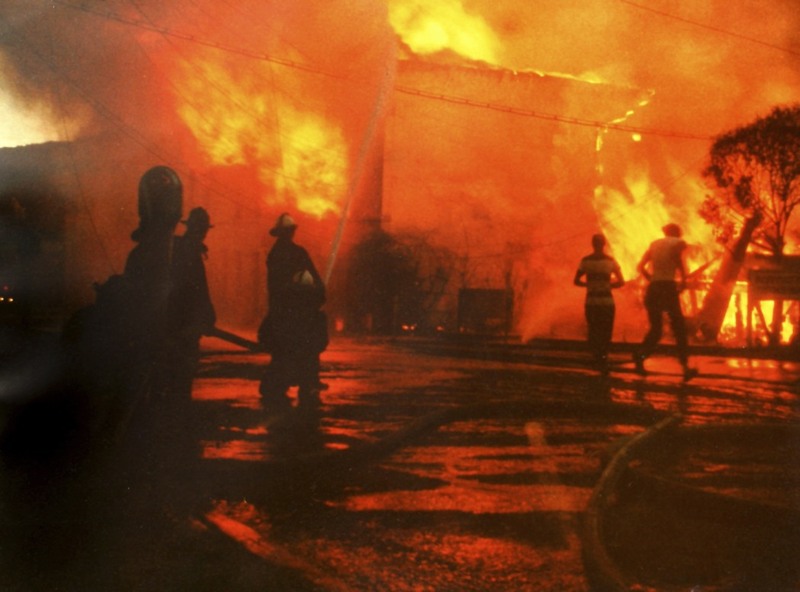 The story of major fires and significant incidents in Marin County over the years, often requiring mutual aid from multiple fire departments. They are separated into structure, wildland, and wildland-urban interface fires - see menus. The list is incomplete and is growing over time. 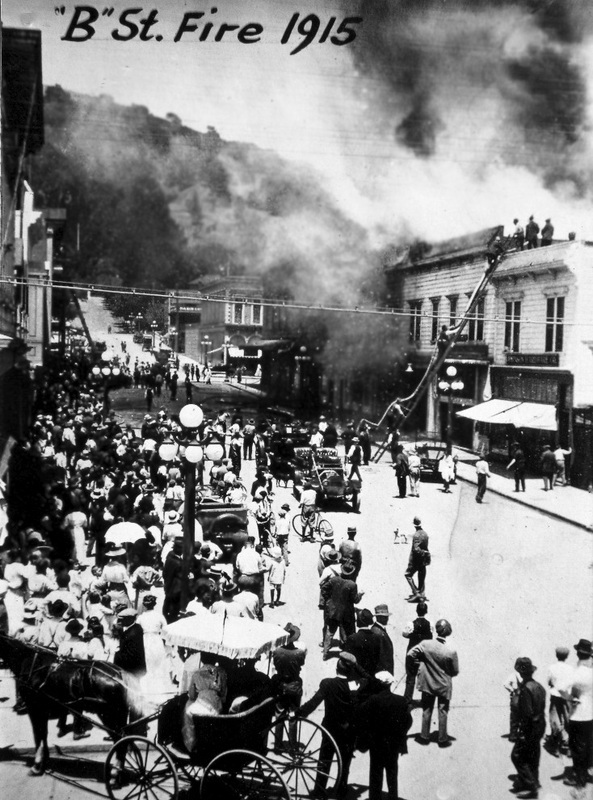 A huge fire on 4th St. in San Rafael in 1957 required mutual aid from around the County, the military, and San Francisco. Photo courtesy Robert Marcucci.